"Me and my brothers have an unfiltered view of the world. We keep it real," said Marlon Wayans (G.I. Joe: The Rise of Cobra). Marlon has a comedy special, "Woke-ish," that premiered on Netflix February 27, 2018. "We're not afraid...politics, religion, racism...there is nothing you can't find that's not funny." Netflix was founded in 1997 by Reed Hastings and Marc Randolph to provide streaming media online. In 2013 it started producing its own programming content and now, as of 2018, Netflix has 118 million subscribers worldwide. 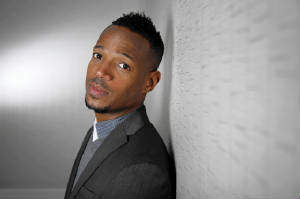 Marlon Wayans' comedy special "Woke-ish" joins other American stand-up comedians like Cedric the Entertainer with shows online via electronic worldwide networks like Netflix. Marlon comes from a family of comedians and the brothers Marlon talked about includes Shawn, Keenen, Damon, and Dwayne. Big brother Keenen was the first on national television with his comedic skills for his own show "In Living Color" (1990-1994), a 20th Century Fox Television sketch comedy series. It also starred his sister Kim and brothers Damon, Shawn and Marlon. That show launched careers for comedians such as Jim Carey, Tommy Davidson, Jamie Foxx and David Allen Grier. It also launched dancers' careers, such as Jennifer Lopez. It was Marlon and Shawn who launched "The Wayans Brothers" sitcom, a Warner Brothers television show that aired from 1995 - 1999. He created it with Leslie Ray and David Simon. It was about two brothers living in Harlem. The New York native's comedy special "Woke-ish" was tapped at the MGM National Harbor Theatre in Washington, DC. As no surprise to me, because acting comes naturally to comedians, in 1988 Marlon took an extra role in the film I'm Gonna Get You Sucka - as a pedestrian. Today his acting credits are long and include starring in G.I. Joe: The Rise of Cobra along side Dennis Quaid, Channing Tatum and Joseph Gordon-Levitt, Norbit starring alongside Eddie Murphy and in Scary Movie (one and two).In 2017 Marlon launched a new sitcom "Marlon," loosely based on his life, on NBC that was just renewed for another season. "I kind of had some material," Marlon said when asked if he had a theme in mind for the comedy special before tapping it. "But I figured it out along the way. I knew I wanted to talk about politics. I knew I wanted to talk about all the things today that affect my kids." I love the comedy of the Wayans. It is something natural about it. Its not forced. So take the stress out your day and just laugh about it all by watching "Woke-ish" the Netflix comedy special of Marlon Wayans. You can log onto www.Netflix.com. SYNDICATED COLUMN: Eunice Moseley, has an estimated weekly readership of over ¼ million with The Pulse of Entertainment. She is also a Public Relations Strategist and Business Management Consultant at Freelance Associates, and is Promotions Director (at-large) for The Baltimore Times. www.ThePulseofEntertainment.com. EVENT: 19th annual "Uplifting Minds II" Free Entertainment Conference (Baltimore Sat, April 21, 2018 at Security Square Mall and Los Angeles in October). Entertainment Business panel and national talent showcase competition (vocal, songwriting and dance) with over $13,000 in prizes. www.UpliftingMinds2.com.